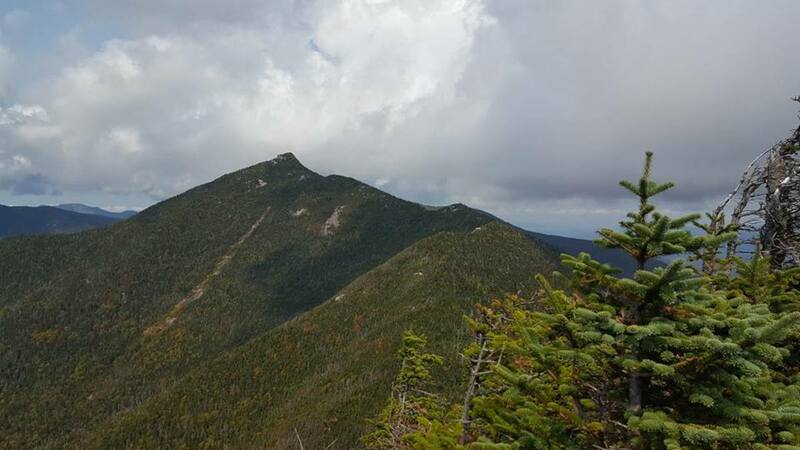 Allen Mountain, at 4,340 feet, is the twenty-sixth highest peak of the Adirondack Forty-Six. 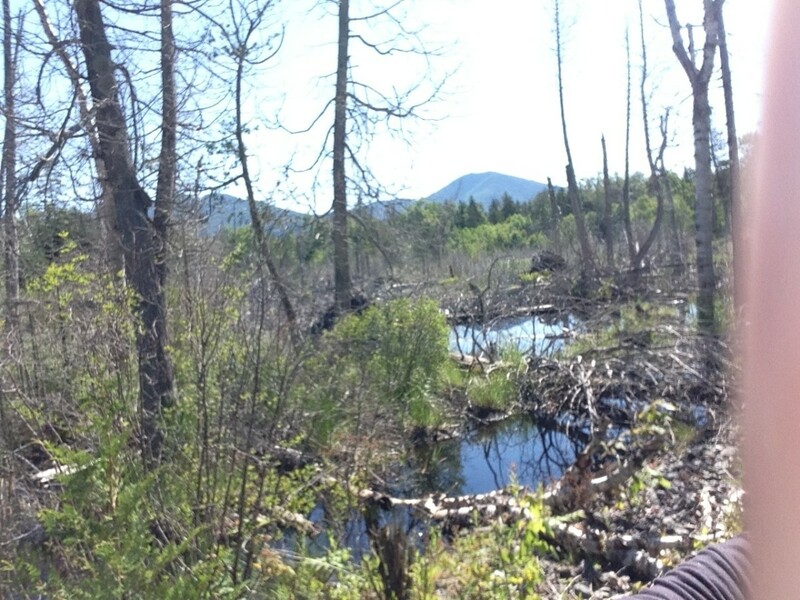 It's located on the southern edge of Adirondack Park and it's a haul of a hike at around twenty miles. 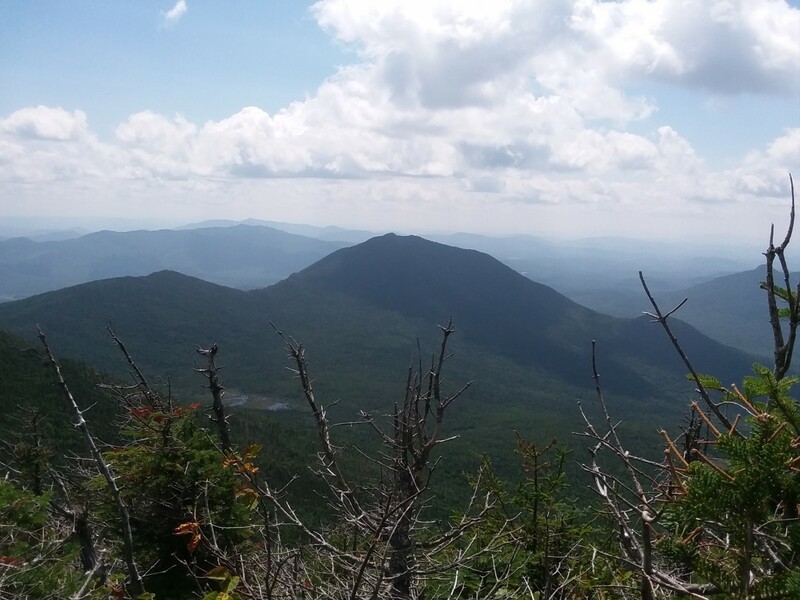 Most people will do Allen Mountain as its own hike and not pair it with other mountains. 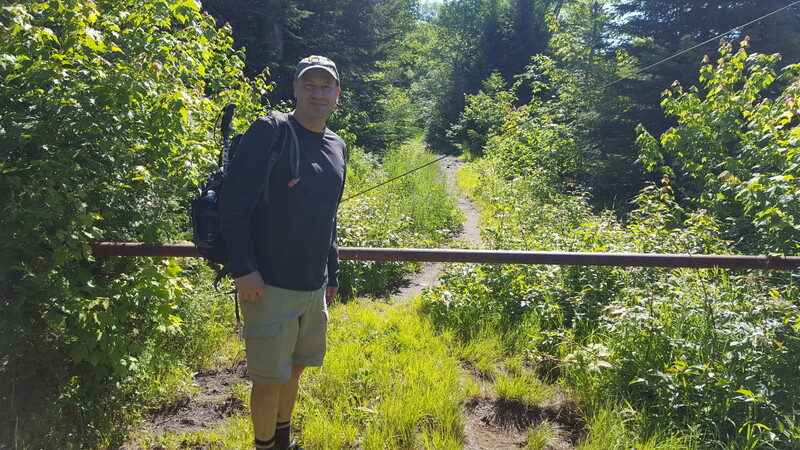 We decided to do this as a day hike and got up early in the morning (3:45 a.m. for me) and were on the road by 5 a.m. We came in from the south, going through Utica and then up. The road to the parking area started by heading to Newcomb, N.Y., on 28N, then taking Tahawus Road going north. This road eventually runs into Upper Works Road on the left. Note: dial back the speed when you see the railroad tracks, as there's a lip on the far side. If you have a small car, you're going to bottom out. Further up, there is a turn off for the Santanoni Peaks on the left and then a little further down the road on the right, there's a small parking lot on the right for the Allen Trailhead. We arrived at the parking lot at 8:25 a.m. and were the only car there. While we were getting ready, a second car pulled up and a pair from Vermont jumped out and quickly beat us onto the trail. 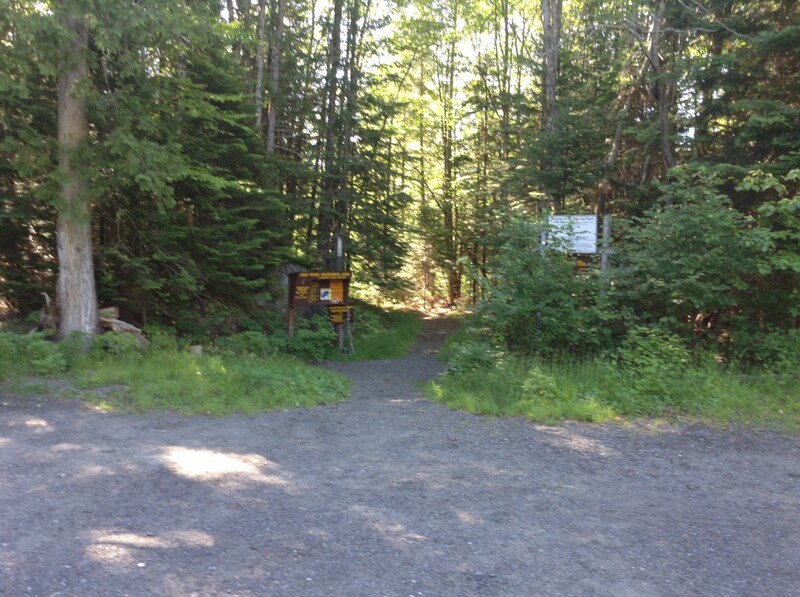 There is a wooden bathroom shed just inside the trailhead on the right. 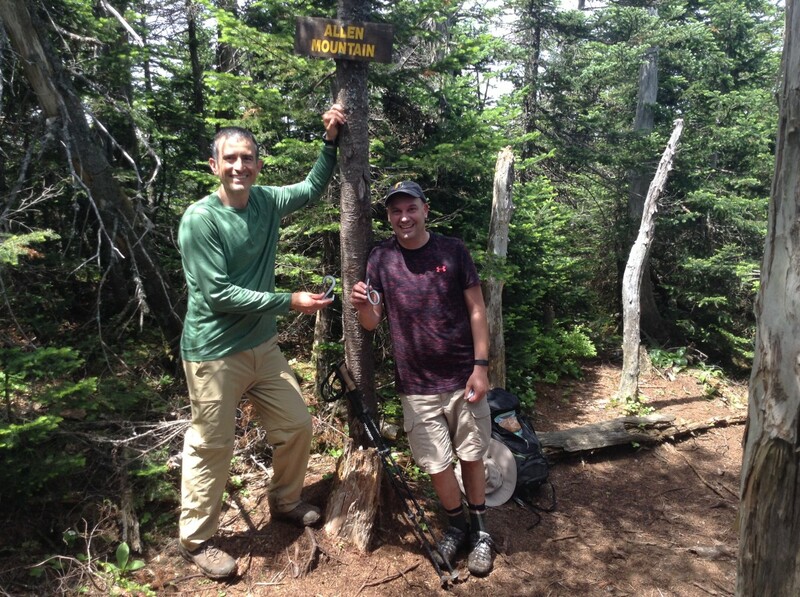 The sign has distances for Mount Adams, the Flowed Lands and Marcy, but nothing for Allen. 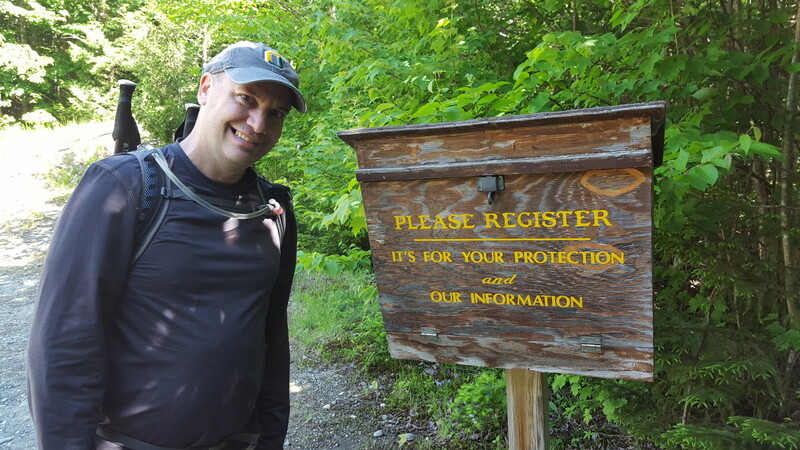 We checked the sign-in book and saw many entries for Allen and knew this was the trailhead. The temperature as we got started was around fifty and we signed in and were on the trail at 8:40 a.m. 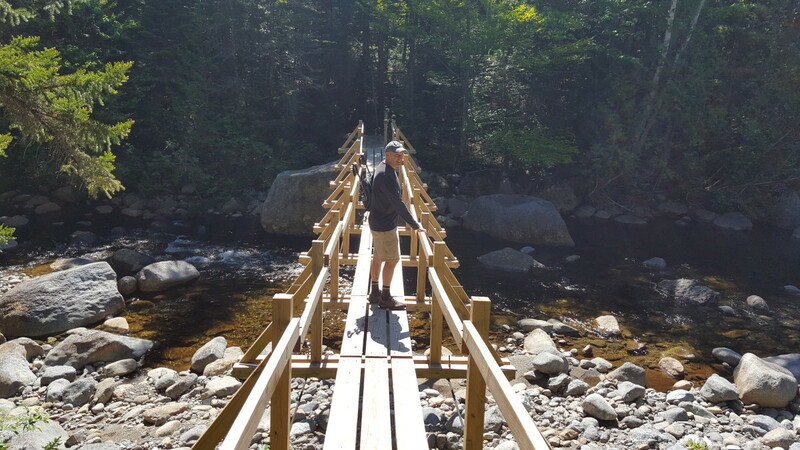 The trail heads in for a bit and comes to a pond where there used to be a walking bridge. 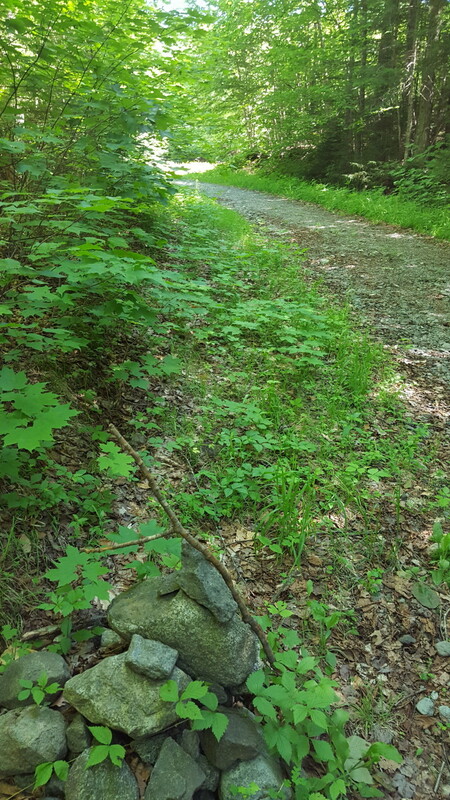 You can see the remnants of it as you head left and follow the trail around before continuing in the same direction you started along. After about twenty-five minutes, you arrive at the pair of little shacks at the base of Mount Adams. This was our first trail marking point. We typically average about three miles an hour on flat ground, so we figured we'd keep track of the time and note markers every half hour to help with the long slog back. In the second thirty minute section, we started to hit some muddy areas and had to hop around a bit as we walked through the tree-lined path that didn't afford much in the way of views. At the hour mark (9:40 a.m.), the trees opened up and gave us a nice view of a peak off to the left (I'm guessing Redfield) and the trail had a dark sandy feel to it. We dubbed this the silt and open tree marker for the hour mark. The trail dried out for a bit and we had to climb a metal bar about ten minutes later. 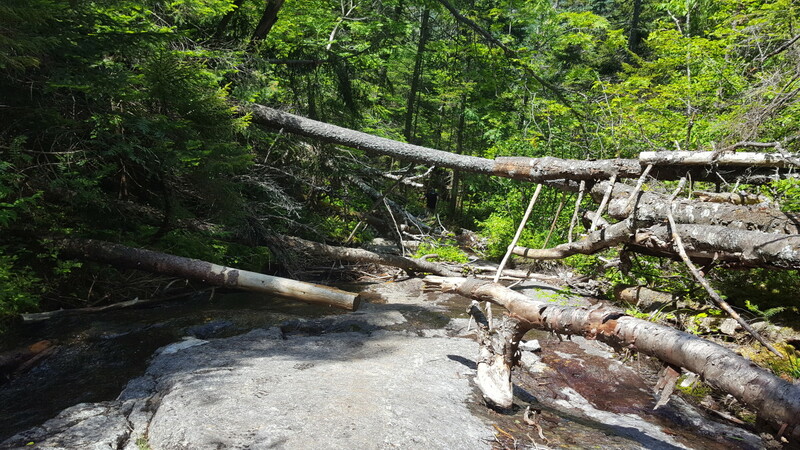 A stream appeared on the right and the path followed that along until we came to a rather new-looking bridge. This was the hour and a half marker and we bounced our way across it. After the bridge, the trail went back into the forest and it turned muddy again. We got a little bit of upslope and ended up catching up to the Vermont pair and passing them momentarily. We didn't stay in front long as I was crossing a muddy area, planted a pole that sank down really deep and threw me off balance and into the mud. When I went to pull my foot out, my shoe stayed lodged in the mud and I was there in my sock. I stepped on the ground and immediately regretted it as now I had a muddy shoe and wet socks. Thankfully, I had on my sock liners and the wool socks, so the wet sock really wasn't an issue at all during the rest of the hike. The Vermont pair vaulted back in front while I recovered my shoe and put it back on. 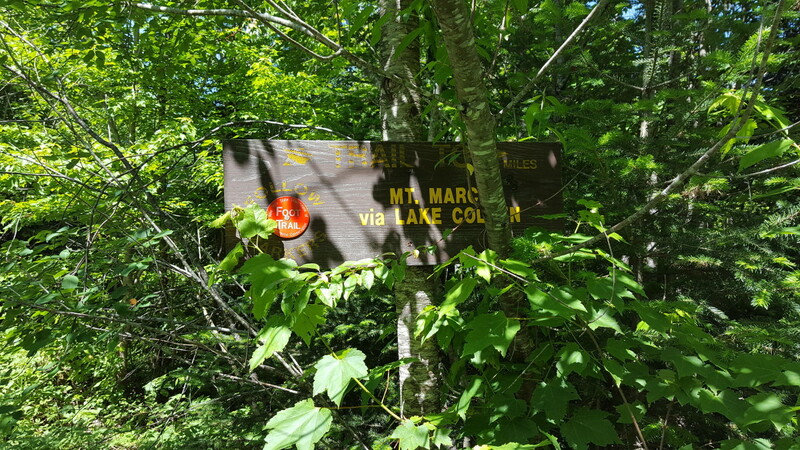 The next marker we came to at the two-hour point (10:40 a.m.) was the sign to head into the Flowed Lands and towards Marcy. We figured we were close to six miles in at this point. Our path went straight ahead while the path to Marcy went left. The trail continued on until it dumps out onto a road. Up ahead in the trees there are arrows pointing the way left and there is a cairn there to help those see the trail on the return trek. We were only on the road a minute when it turned right and up a bit to a second sign-in book. We stopped and put an entry in to this book too and then made out way into the woods again. 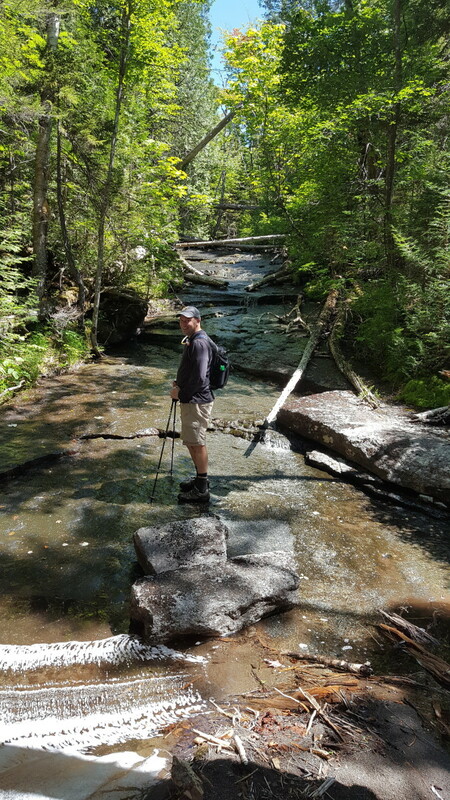 We hiked through the woods for another thirty minutes until we came to a small stream crossing at the two and a half hour point. We dubbed this one Baby Buttermilk since both Kory and I had spent some time in Ithaca and one of their notable falls is named Buttermilk. We figured that would be easy to remember. After the falls, there was a bit of an up incline before a long gradual descent through the woods. It eventually snakes its way down to the first of two brooks. The first is easy to cross and we stopped there to grab a quick snack, knowing we were getting close to the start of the ascent. The Vermont pair passed us while we were snacking. We made it to the first brook at the three-hour mark (11:40 a.m.). Five minutes later, you come to the other brook. The second brook is Allen Brook and it's a little more tricky to cross and a little bit wider. Right after that crossing, the trail heads up and to the left. This is where the ascent begins and we were there right at noon. 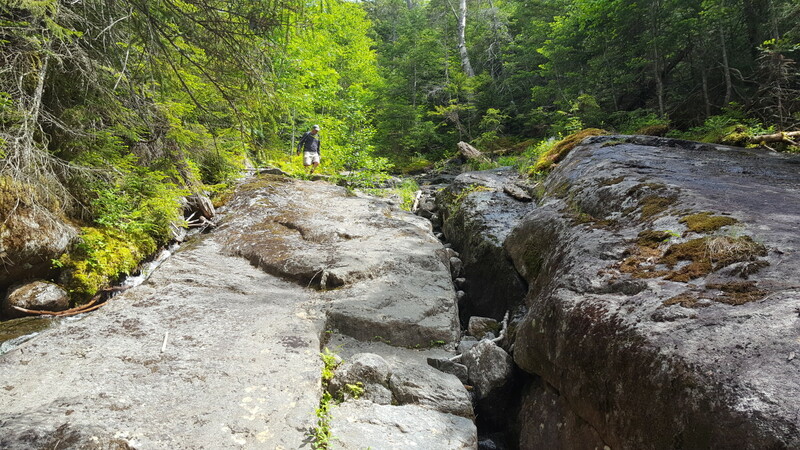 We ascended for about twenty minutes on some gradual terrain and came to some little falls where the Vermont pair were stopped to rest and snack before the final ascent. From this point, it's about a mile to the top. We passed the pair and started the climb. The trail from here on up was wet and had many spots with moss that were sure to be slippery. It was also very steep with a bunch of blown down trees that you had to climb over or under. It reminded me of a worse version of going up the backside of Colden. There really wasn't a relief section and my energy levels started to take a hit. I had to stop often and catch my breath, much like I did on the Colden hike. I ended up getting passed again about twenty minutes up the trail, if you can really call it a trail at this point. The climb continues on with a few tricky rock shelves to navigate until you come to a flat section. This is pretty close to the top, but there's one more tricky shelf before you hit the promised land. It requires some tree grabbing on the left, but the rocks were pretty mud covered and I ended up slipping and nearly falling back down. In reaching out, I thought I strained some shoulder muscles on this part. From that point though, it's only a few mild minutes up to the enclosed summit where there's an Allen sign up in the trees. 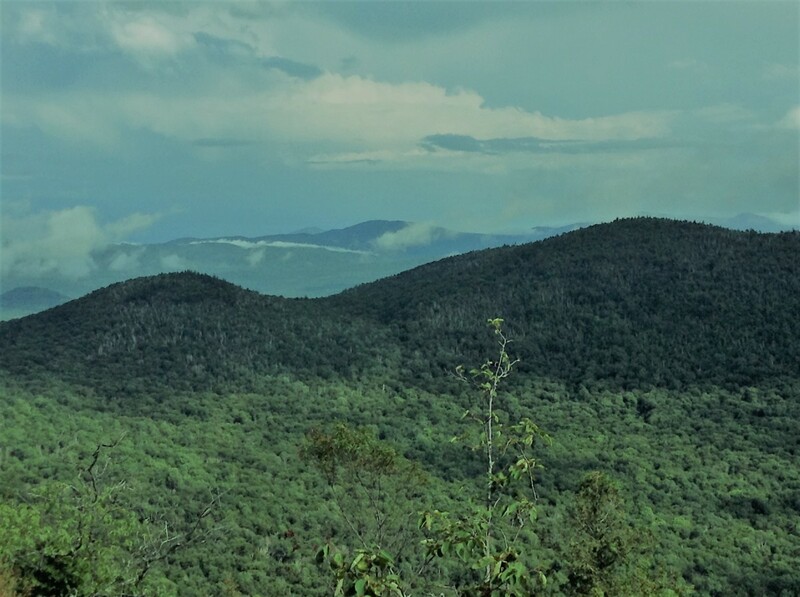 Off the backside, there's a nice lookout where you can see the Great Range, Nippletop, and Dix Mountains. I hit the peak finally at 1:41 p.m., five hours from when we jumped onto the trail. We spent twenty-five minutes up there taking pictures, getting video, eating, and getting attacked by the bugs. The temperature had risen to the mid-to-high seventies on the ascent and there wasn't much breeze at all, so they were swarming. We left the summit at 2:07 p.m. Neither of us was looking forward to the descent and both of us ended up stashing our hiking poles for the trip down so we could keep our hands free to grab onto things on the edges of the rock faces we were sure to encounter. I took one bad slip and nearly ate it, but manged to save myself. We made it back to the falls in an hour and encountered the Vermont pair there and passed them. Another fifteen minutes (3:20 p.m.) down to Allen Brook and we were ready to begin the long slog to the car. 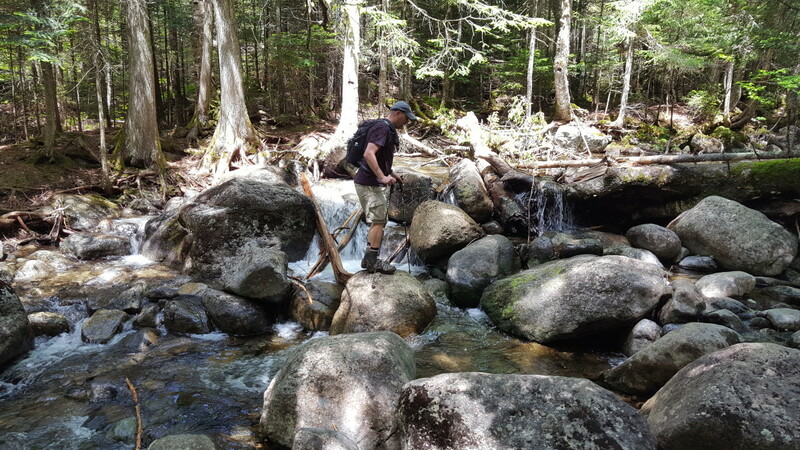 We crossed the second brook and then the incline started right away. It was about a mile of zigzagging incline and fatigue really started kicking in for me. I had to rest often and even sat down at one point to contemplate living the rest of my life in this forest. Thankfully, I heard the Vermont duo closing in on me and pride took over. That gave me the motivation to slowly work my way up the hill. I kept thinking of knocking off thirty minute sections and hitting little goals on the way out. That first section added some time to the average but we eventually got on a decline and hit Baby Buttermilk, then thirty minutes later we signed out of the second book before coming to the Marcy sign at around 4:40 p.m. We were on pace to hit ten hours because the rest of the trail was pretty flat from there. I snacked on some trail mix and had a bit of my second pare and we made the bridge and the silt/open area in under an hour. Kory was intent on breaking ten hours and we kept up a nice pace with every open sunny area letting a new group of black flies jump into the hike with us. I regretted not packing the bug net for this one. We came up to the Mount Adams houses earlier than we figured we would and it gave us hope that we were on our last thirty minute section. This ended up being the longest part because we expected to see the parking lot around every turn we took once past the pond. It just took longer than we thought it would, but eventually got back to the car at 6:25 p.m.
My fitbit said 50,004 steps and like 23 miles, but I take a lot of little steps, so I know the mile figure is always high. 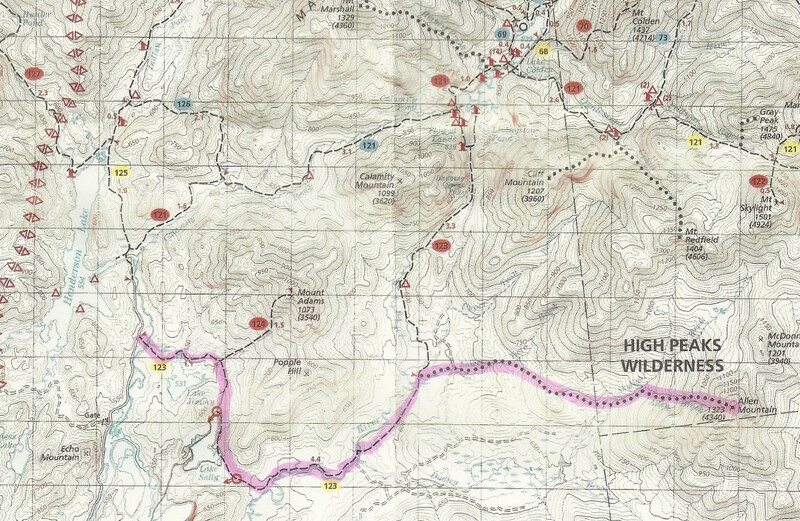 But from start to end, we did the hike in nine hours and forty-five minutes. 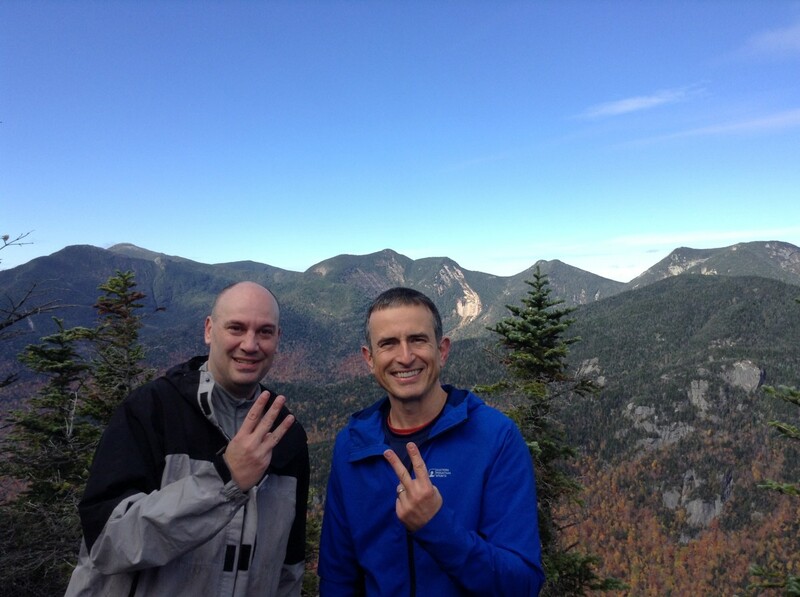 This was our twenty-sixth high peak to date and Kory remarked on the irony of it being the twenty-sixth highest peak of the Adirondack forty-six. It was a grind. 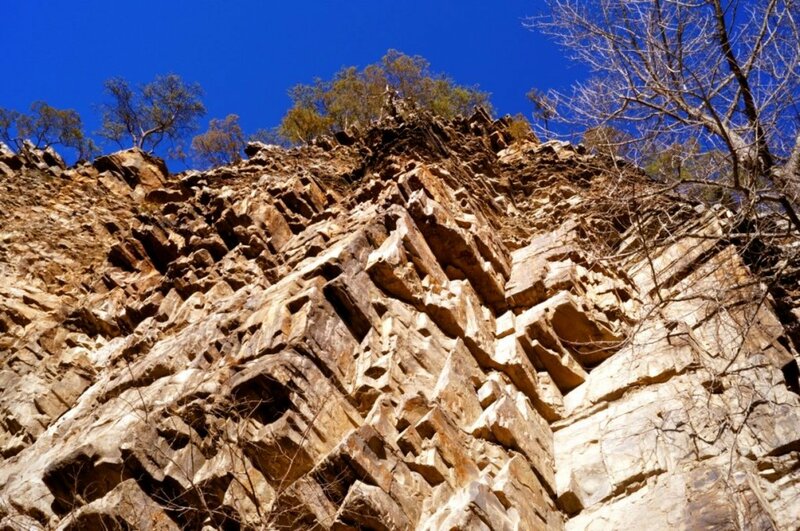 I felt good on the first half, but the ascent was tough and tricky and an energy sapper. That first ascent after coming down is a real kick to the groin. But thankfully, there are some views at the top and knocking it off does give you a great sense of accomplishment. 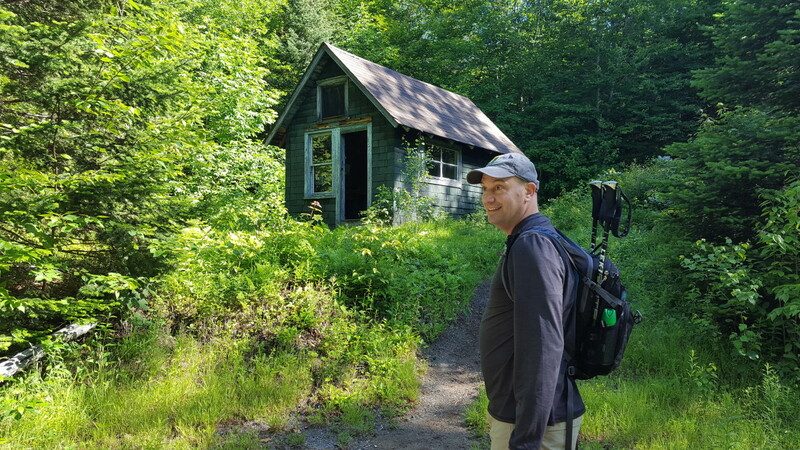 A trip report from our hike up Phelps Mountain in the Adirondack Park of Upstate, N.Y. Phelps is the thirty-second highest peak of the Adirondack forty-six high peaks with an elevation of 4,160 feet. A summary of the hike of Mt. 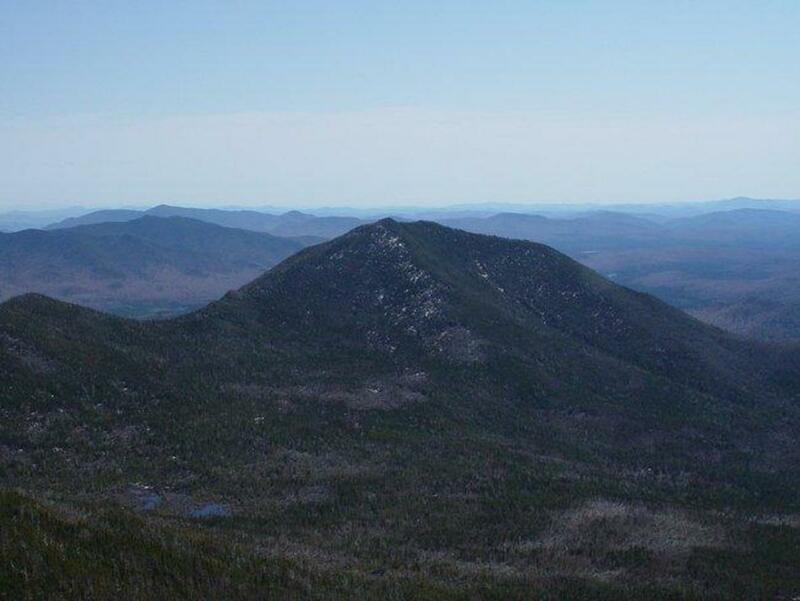 Arab, Coney Mountain, and Goodman Mountain in the Adirondack Mountain range of New York. The three make up the Tupper Lake Triad. 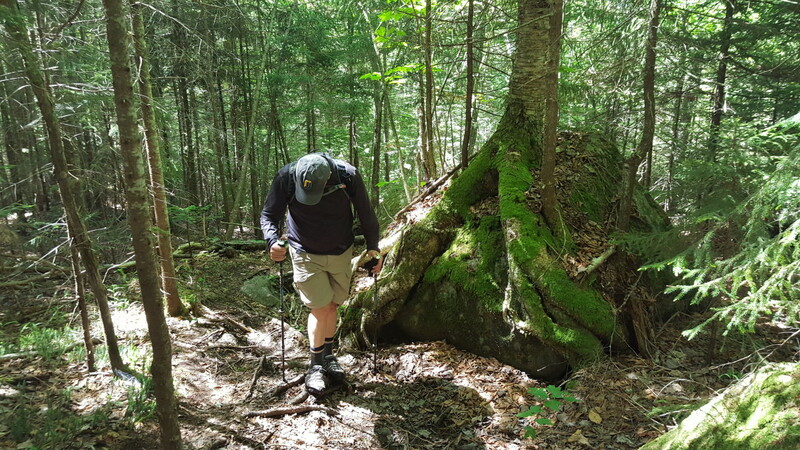 A summary of our hike, the trials, and mistakes we made on the mountains of Giant and Rocky Peak Ridge in the Adirondacks. 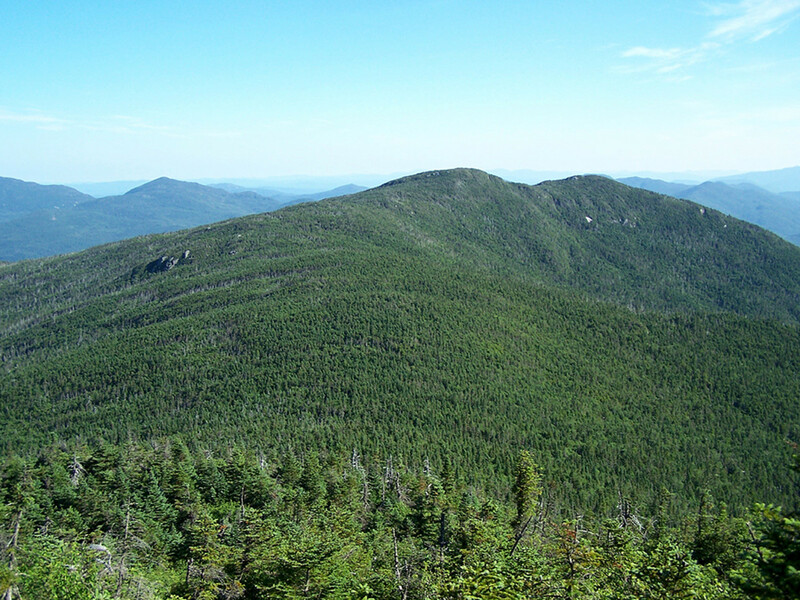 Giant and Rocky Peak Ridge are two of the forty-six Adirondack high peaks.